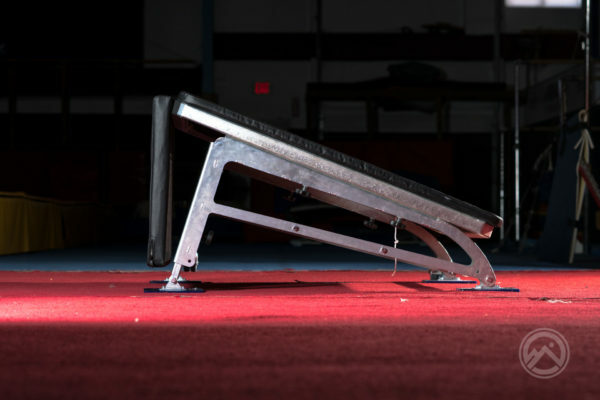 Everything on the trampoline suppresses one purpose: to deliver the most power in the jump. 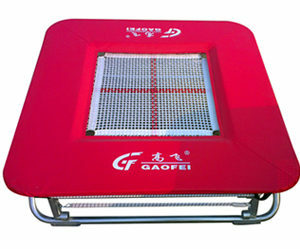 Right from the non-slip feet, the stell’s design to the quality 2 string trampoline. The mini-trampoline is subjected to heavy loads so it is important to choose a stable and solid trampoline that gives you the greatest possible bounce. A MaxAir tramp can be installed just about anywhere outdoors and, in many cases, even indoors. They can be installed flush with your lawn, deck, or even as a conversion for an unused swimming pool (and honestly, they’re a lot easier to maintain!). We do above ground setups too. Our extensive pad options and colors provide flexibility for a subtly minimalist look, or you can make a bold statement worthy of the X Games. You can even install next to a basketball hoop for a fun game of SlamBall! 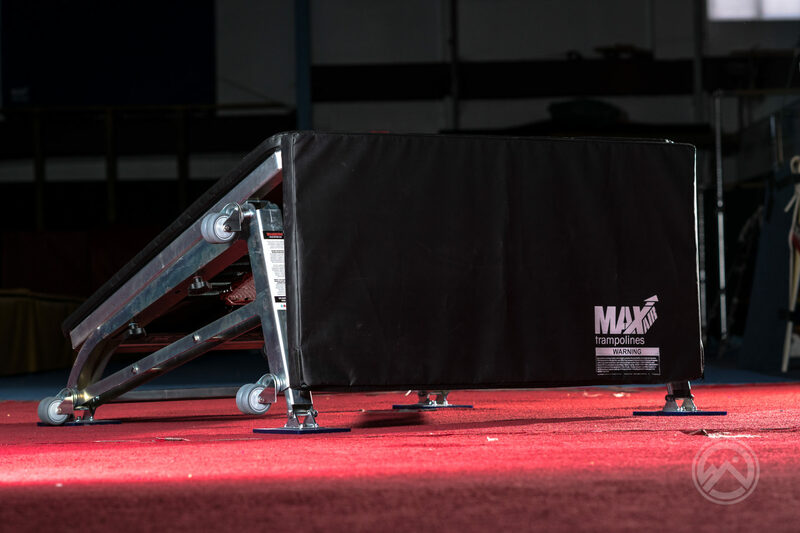 Around the world, professionals and all levels of amateur trampolinists train on MaxAir trampolines. Cheerleaders, free runners and parkour enthusiasts, extreme sport athletes, like snowboarders, skiers, skateboarders, wakeboarders, divers, BMX riders, and motorcyclists train on MaxAir tramps. Even movie stunt actors, and aerialists from incredible productions like Cirque du Soleil hone their skills on MaxAir tramps. At MaxAir, we have designed and engineered our oversized, high bouncing, Super Quad trampoline to maximize air-time, axis tricks, and flips. Push your training to new heights, and gain the competitive advantage in your sport. All of the components of a MaxAir Trampoline were designed to work together to give you the highest performance trampoline available. 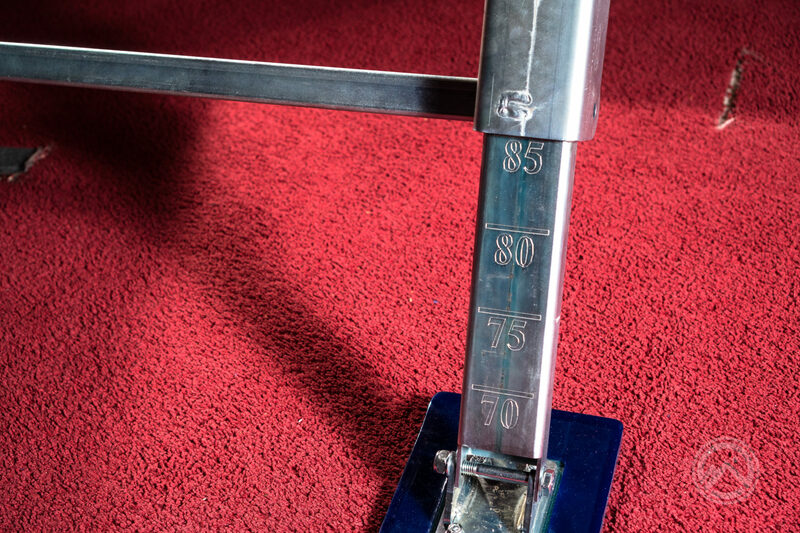 With MaxAir “Self-Centering” technology, and our heavy-duty springs, beds, and frames, you will experience a better bounce, and higher and longer air-time to perfect more complicated aerials. It all means a better bounce and performance. Gymnasts, performers, and extreme athletes demand the safety features that are built into every MaxAir Trampoline. They know that time on a trampoline comes with risks. Gradually working up to a difficult new maneuver, being in top physical condition, using properly fitted safety pads, properly installed springs, checking the conditions of beds, springs and frames, and using spotters and harnesses, are all important precautions that can help minimize risks. Children should NEVER use a trampoline without qualified adult supervision present at all times. We appreciate your interest in MaxAir Trampoline Products. We specialize in high-performance in-ground trampolines that cater to markets ranging from homeowners with families to the professional extreme sport athlete. 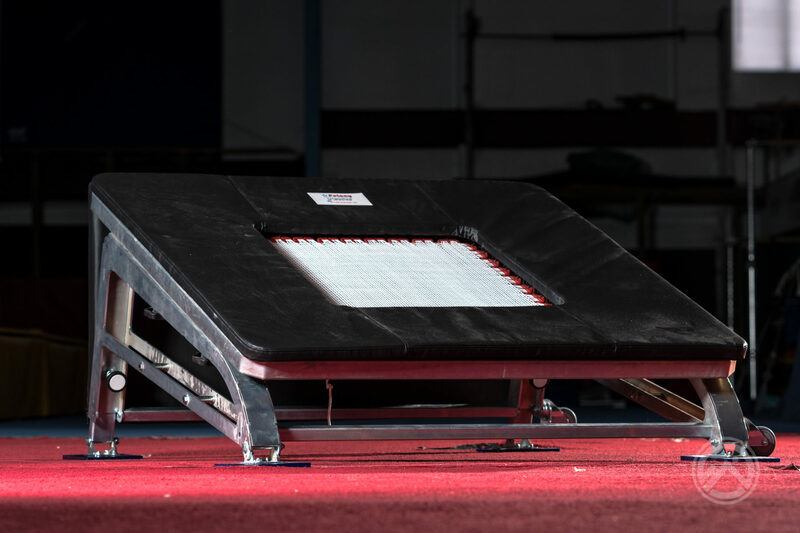 We have been in business for nearly four years and, although we are a new company, we have been weaving high-performance trampolines for our own gymnastics training facility in Grand Rapids, Michigan for more than a decade. Our company has experienced significant growth both domestically and internationally within the last three years, as we are one of the only companies in the world that produces large, in-ground, high-performance trampoline systems. By becoming a MaxAir Trampoline dealer, you gain the ability to offer your clients a unique backyard trampoline option, which also adds flexibility and additional revenue opportunities for your company. We work with our dealers and installers to make certain that you understand your market and how to acquire customers. We provide comprehensive marketing materials such as brochures, email templates, and product samples. We also give you with all necessary installation materials and train you on installation requirements. What makes this a great opportunity is that installations are not very complex and our detailed guidelines will help you learn how to get in and out of a job in just a day or two, which will increase your turnaround time and profit potential. Our goal is to find qualified and motivated dealers who have the market potential and ideal size company needed to manage a workable service area in their community. MaxAir will provide you with MaxAir Trampolines at a negotiated cost and will also provide all of the marketing materials you will need to get started. Be assured that as a MaxAir certified dealer, we will be available to answer questions and provide support. We will always strive to create a great business-to-business relationship in order for you to successfully sell and market MaxAir Trampoline products. We invite you to contact us to learn more about become a MaxAir dealer. MaxAir Trampolines is currently looking for qualified landscape installation companies that are motivated to expand their business offerings by becoming a certified MaxAir Trampoline installer. Once sign-up is complete and your company is approved, installers are responsible for the entire set-up process and installation of MaxAir Trampolines. This process includes surveying for underground lines and utility pipes, excavation, retaining wall builds, trampoline installation, and finishing work. Installer must possess their own liability insurance in case of damage to customers’ property or the product itself. Installers also must follow MaxAir’s approved installation manuals in order to ensure the safety and durability of the equipment. We invite you to complete the sign up process so we can begin laying the foundation for a great future partnership. How will you use your trampoline? Which trampoline best fits your needs and budget? Which best describes the age ranges that will be using the trampoline(s)? What is your projected timeline? Which best describes where the trampoline will be placed? 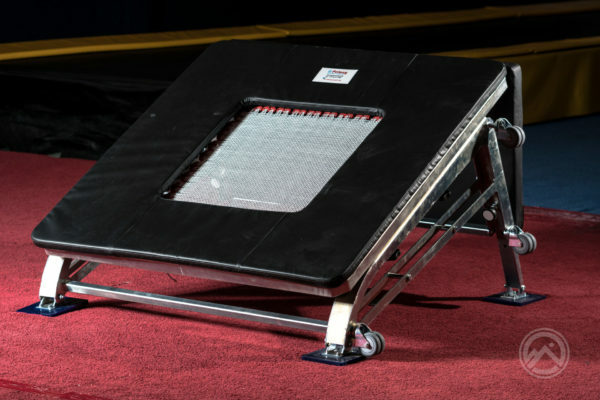 How did you hear about MaxAir Trampolines? I would like a call back.